If you are operating a website or running a service that may be exploited by spammers, then you should consider publishing a formal anti-spam policy. This short policy document covers the basics. First, it includes a definition of spam, and provides that the website operator / service provider does not tolerate such spam. Second, it outlines the technical measures used by the operator / provider in relation to spam. Third, it highlights particular issues that may be associated with those technical measures - such as filtering failures and loss of messages. Fourth, user spam is expressly prohibited. Fifth, the policy invites users to contact the operator / provider in the event that they receive a message from the operator / provider that seems to amount to spam. Finally, provisions covering variation of the policy are included. Introduction: what is spam? ; zero tolerence for spam. 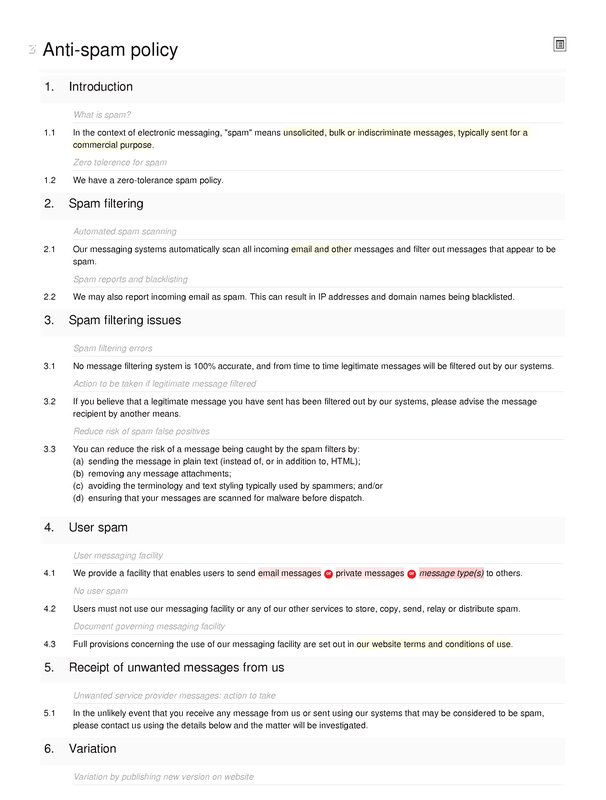 Spam filtering: automated spam scanning; spam reports and blacklisting. Spam filtering issues: spam filtering errors; action to be taken if legitimate message filtered; reduce risk of spam false positives. 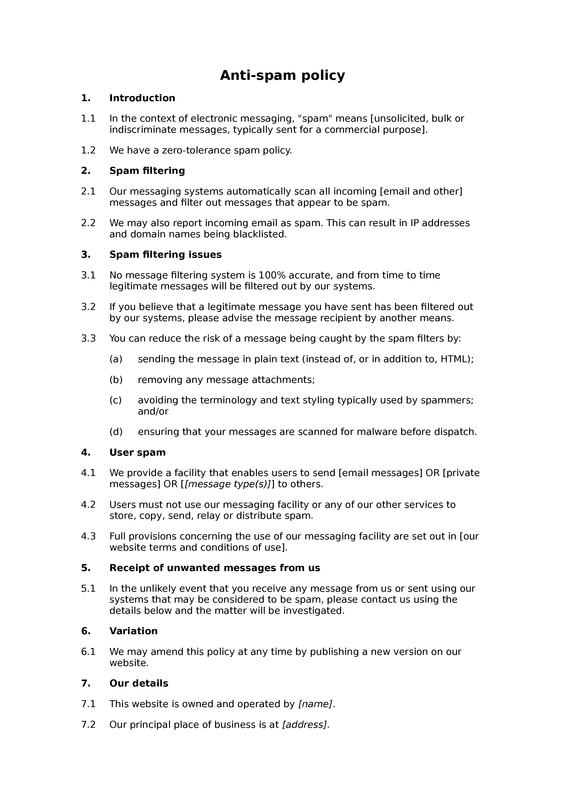 User spam: user messaging facility; no user spam; document governing messaging facility. Receipt of unwanted messages from us: unwanted service provider messages: action to take. Variation: variation by publishing new version on website.